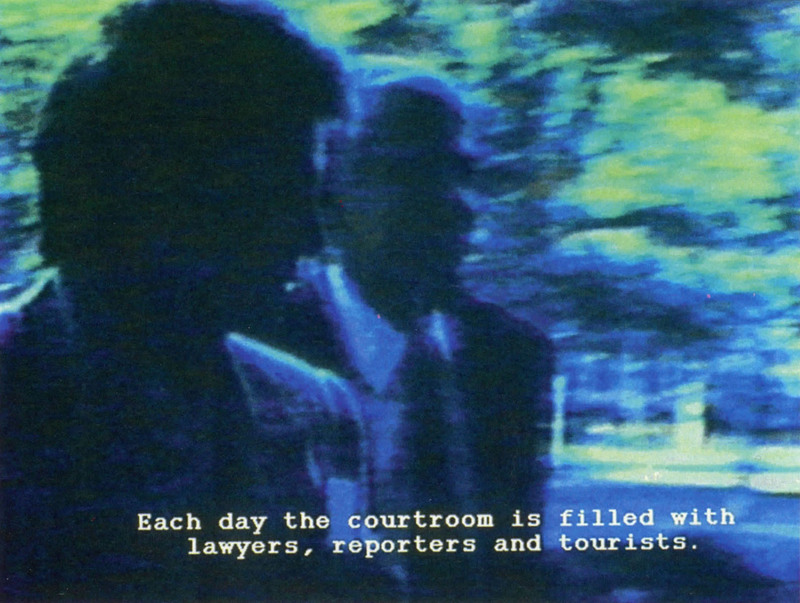 My work explores life in this age of Court TV. It examines the blurred boundaries between news and entertainment, as well as our culture’s engagement with celebrity and scandal. It investigates the relationship of spectacle and voyeurism and the ways in which women are represented in the media. In this work I am concerned with cameras in the courtroom – with court trails as a form of popular entertainment in our culture. In the “Leona Helmsley Series” I examined the media coverage of the tax trail of Leona Helmsley, the self-styled queen of the Helmsley hotel chain. 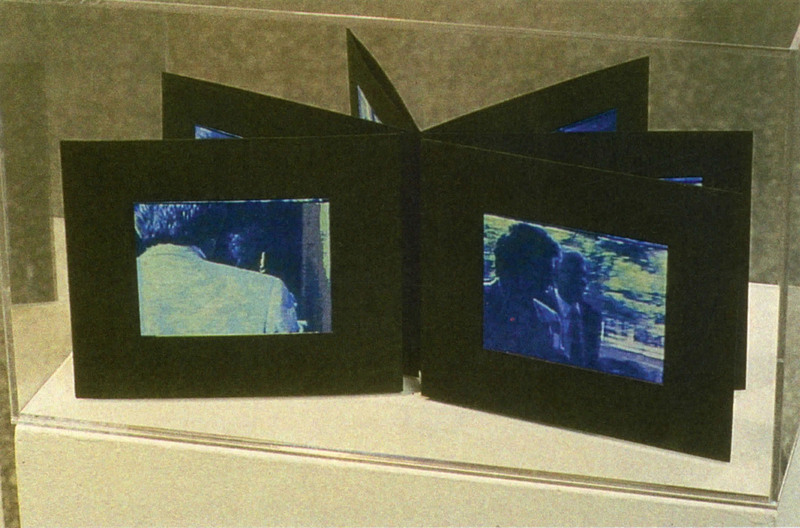 The work also examined my relationship to this spectacle as an artist/participant with a Super 8 camera. The “Leona Helmsley Series,” as my other recent projects, explores relationships between static and moving images, between traditional media and modern technologies. It includes digital photographs, artist books, and installations that combine video, animation, painting, digital prints, and sound.